My mum almost had a heart attack when I told her my kids were getting rocks instead of chocolate eggs for Easter this year. 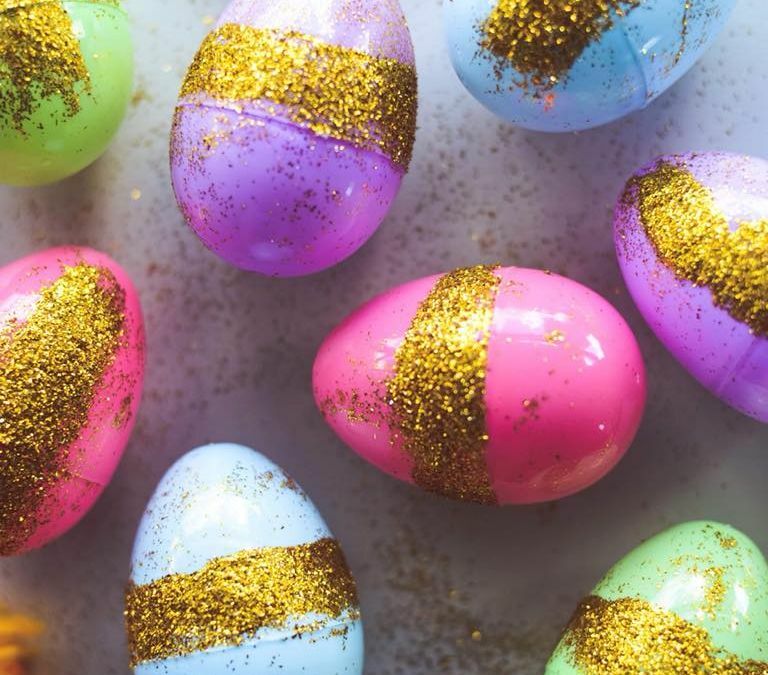 Call me the Grinch of Easter, but my kids don’t even know to ask for chocolate eggs because we haven’t set them up to expect them. For me it’s not so much about the sugar. It’s about big companies telling me what I should be buying/ doing to celebrate Easter, when the focus for us is about so much more than chocolate eggs. And don’t get me started on all the plastic packaging! Anyway, my kids don’t know to expect chocolate eggs so they don’t ask for them. And as a way to stick it to the man, we do egg hunts in our own style. 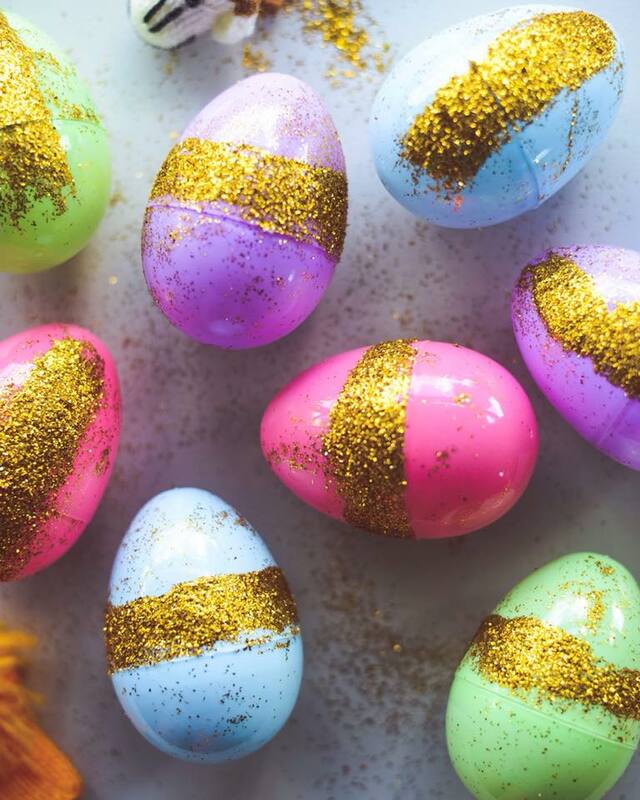 This year I filled these plastic eggs with little finger puppets and toys, rolled them in glitter and hid them around our garden. Our kids loved it. The magic was in the hunt. 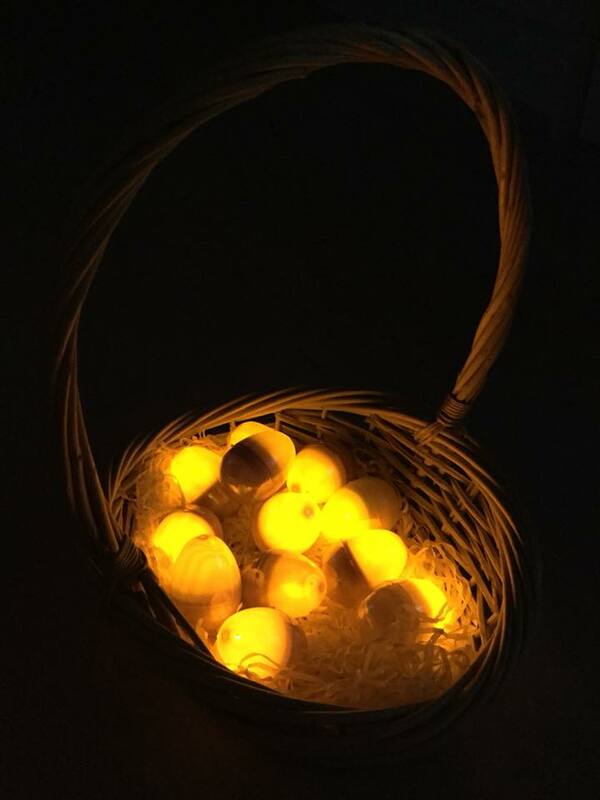 Filling plastic eggs with LED lights and hiding them to be found in the dark. Now that’s cool. 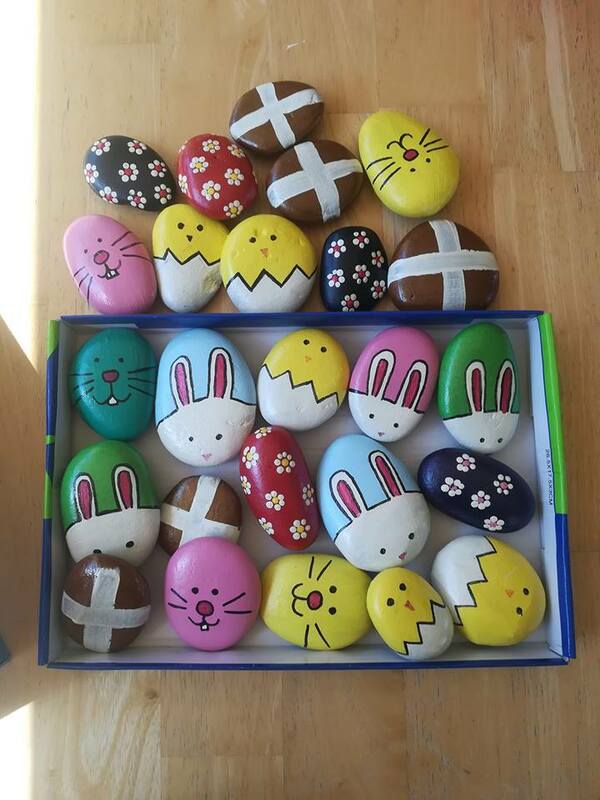 And going back to my fabulous rock idea, wouldn’t it be fun to spend an afternoon painting rocks with an Easter theme and then hiding it around your local park for other children to find? I bet there are Facebook groups for this in your community. Simply go to Facebook and type in ‘(Your City) Rocks’ and it should bring something up. Our kids love to go to the park in the hopes that they will find rocks hidden by other children.